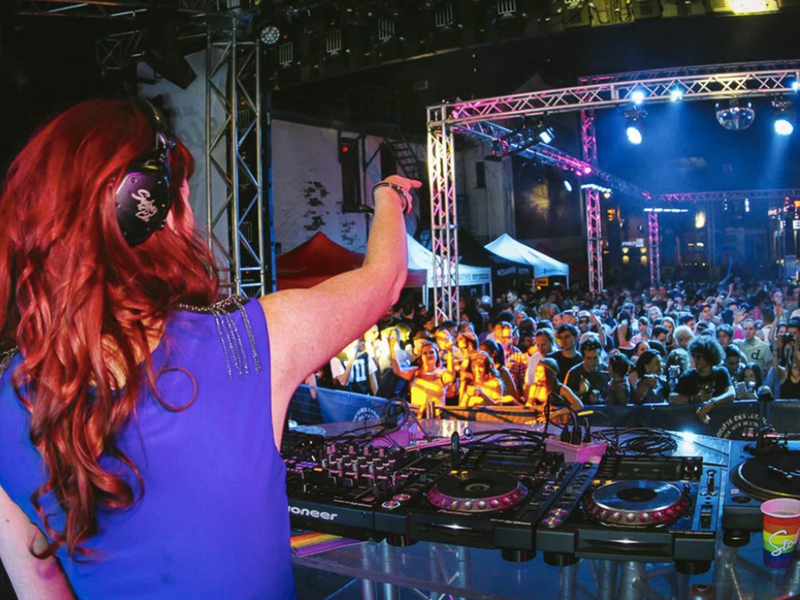 Sydney Blu Brings Her Sounds of PRIDE to CODA’s Dance Floor This Weekend! This weekend, Toronto will celebrate one of the city’s most meaningful gatherings; PRIDE. While the entire month of June is recognized as Pride month, the festival officially kicks off on Friday, June 22 with the 38th annual Pride Parade taking place on Sunday, June 24. 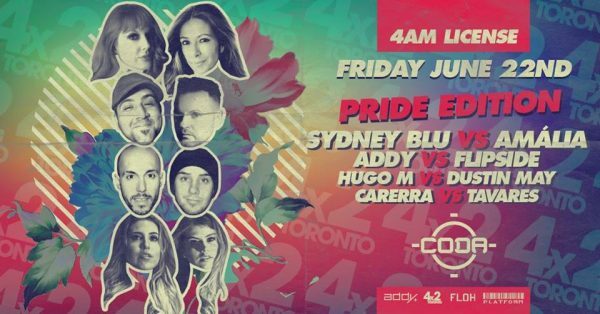 A long-time supporter and performer at PRIDE, Canadian DJ Sydney Blu is thrilled to be joining the folks at CODA nightclub for a special Pride Edition showcase on Friday, June 22. Joining Blu at CODA will be an array of Toronto legends going b2b all night long. Amália will take to the decks alongside Sydney Blu herself, ADDY and Flipside will hash it out over some tunes, Hugo M vs. Dustin May will bring the heat, and Carrera vs. Tavares will be doing what they do best! Oh, and did we mention there will be an extended 4 AM last call? There’s no better way to unite than on the dance floor with some groovy beats; see you this Friday! Tickets to 4×2 Pride Edition at CODA may be found here. Previous articleGabriel & Dresden, Pleasurekraft and #Bassweek Hit CODA this Month!